ZEN Enterprise is an innovative local SME that provides unique government solutions to deliver significant productivity dividends and reduce risk. 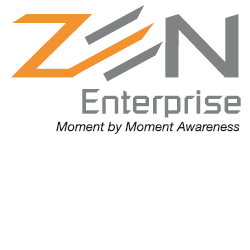 ZEN Enterprise began in Canberra in 2013 and its flagship offering is it software solution. ZEN also delivers consulting services to government. ZEN Enterprise software has deep capability to assist in the management of large and complex contracts and projects, ensuring clients pay only for the services they receive and delivering significant productivity benefits. ZEN holds metrics and all transactions relating to outsourced agreements and is able to automate the verification and checking processes. ZEN Enterprise is an innovative local SME that provides unique government solutions to deliver significant productivity dividends and reduce risk. Specifically ZEN software automates contract and invoice management processes and integrates at a process and technology level to other FMIS and ERP systems to provide a seamless solution to clients.